Gerard Way Mixed. I found some good pictures about Gerard Way and I thought I make a Hintergrund oder whatever is this . :) I found that old picture with the text too but I changed the text a little, just the first part... :) Well... I think the life was fair with Gerard.. HD Wallpaper and background images in the My Chemical Romance club tagged: my chemical romance gerard way. 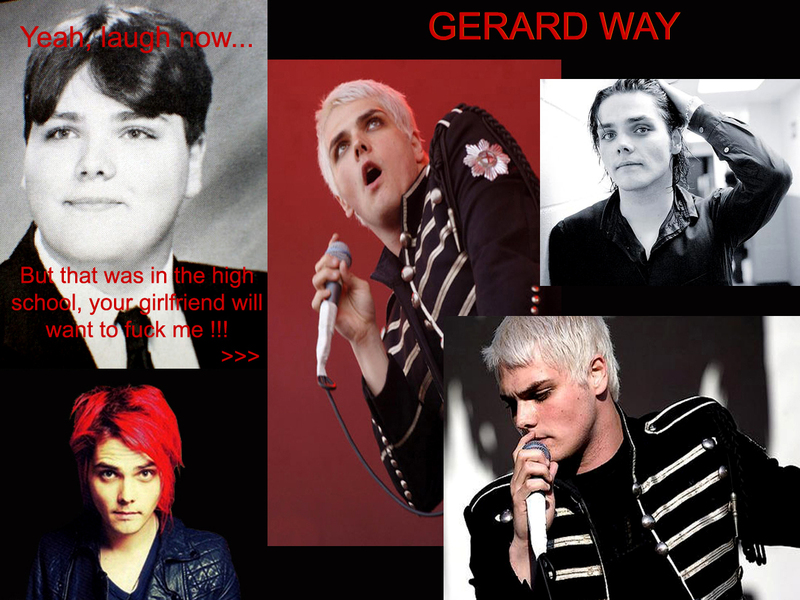 I found some good pictures about Gerard Way and I thought I make a Hintergrund oder whatever is this . :) I found that old picture with the text too but I changed the text a little, just the first part... :) Well... I think the life was fair with Gerard. This My Chemical Romance photo might contain konzert, porträt, kopfbild, nahaufnahme, portrait, headshot, and kopfschuss. Haha, Love it!!! And so true!!!! Even in high school he was still adorable!